Well, networking was the name of the game last Thursday March 21st at Memorial Sloan Kettering’s Zuckerman Building, where IFNY co-organized in collaboration with the MSK Office of Career and Professional Development, and the Tri-I Biotech Club the event “Everything you always wanted to know about science entrepreneurship (but were too afraid to ask): Careers in Entrepreneurship for PhD’s speed networking. What better way to learn about the entrepreneurial path for scientists, than to ask those that have ventured on it? Modeled in the image of a speed dating event, we invited six very eligible entrepreneur-scientists to join us. 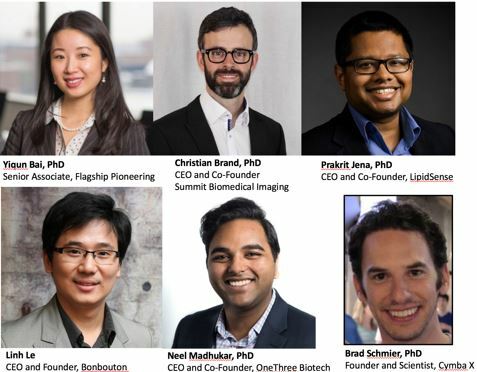 Christian Brand PhD, CEO and Co-Founder of Summit Biomedical Imaging; Linh Le, CEO and Founder of Bonbouton; Neel Madhukar, PhD CEO and Co-founder of OneThree Biotech; Brad Schmier PhD, Founder and Scientist of Cymba X; Yiqun Bai PhD Senior Associate at Flagship Pioneering; and Prakrit Jena, PhD CEO and Co-founder of LipidSense each took their place at one of six tables and rotated from table to table every ten minutes. 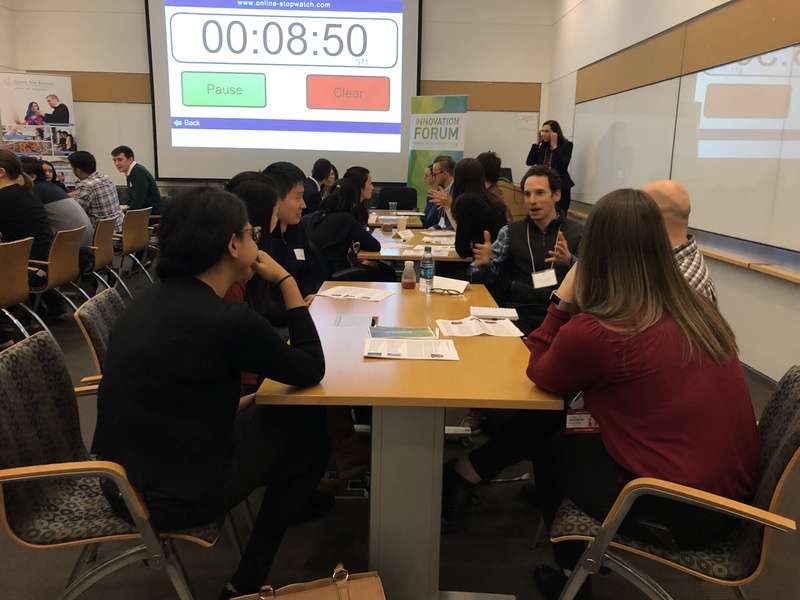 Instead of potential suitors, they were joined by five PhD students or postdocs from the New York City area, who had ten minutes to ask as many questions as they could before the inexorable timer projected at the front of the room signaled it was time for the entrepreneurs to move to the next table. Common themes emerged across the tables as the speed networking sprinted along. 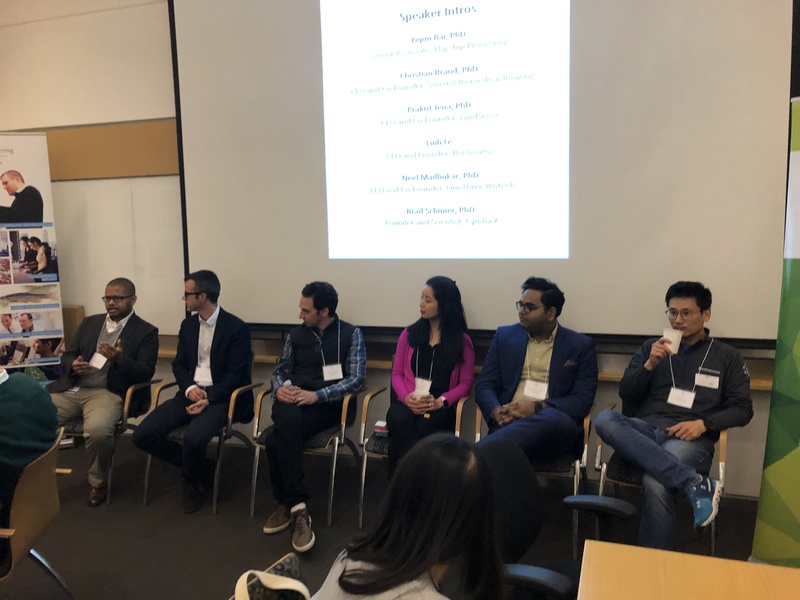 Some of the speakers acknowledged not having originally envisioned starting their own companies at the outset of their scientific training; but discovered the entrepreneurial spark along the way. 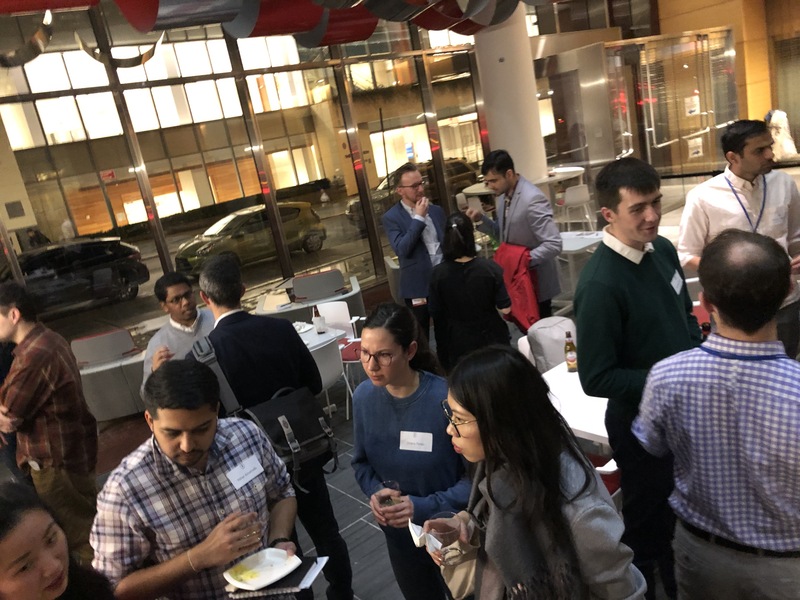 In deciding to make the leap from scientists to scientists-entrepreneurs, they named technology transfer offices, mentors and entrepreneurship programs such as ELabNYC (of which Prakrit is an alum) as key factors and crucial allies. Another recurring idea was the pivotal importance of establishing connections with like-minded individuals who were also on the entrepreneurial path and could provide important feedback to ideas as well anecdotes of how they had dealt with challenging situations similar to those an aspiring founder might run into.